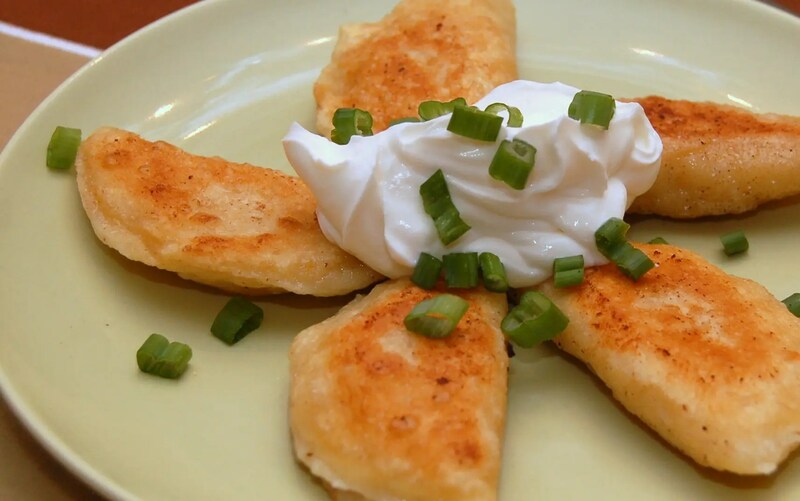 Oh pierogi, how can a little piece of dough stuffed with potato and cheese taste so darn good? I’ve had a hankerin’ for the eastern european potato dumpling since I was a bridesmaid for a good friend that I had met through work. At her fabulous wedding buffet there was pan after pan of delicious Pierogies that her Mom and Aunties had lovingly handmade. It was a family tradition! No matter how fancy the wedding or how posh the venue no wedding in that family was complete without at least a billion homemade pierogies. Being the resourceful person I am, I was sure to invite myself over the next time my friend’s Mom was making pierogies. She was one of those fabulous cooks that just used a bit of this and a bit of that, with no real recipe. She was kind enough to let me measure as she cooked, and I came up with a recipe. I used that recipe so many times I actually got to the point where I didn’t need to measure or follow the recipe anymore. So when I promised a couple of friends I would post my pierogi recipe, I had to stop and measure as I cooked, just like I did all those years ago. 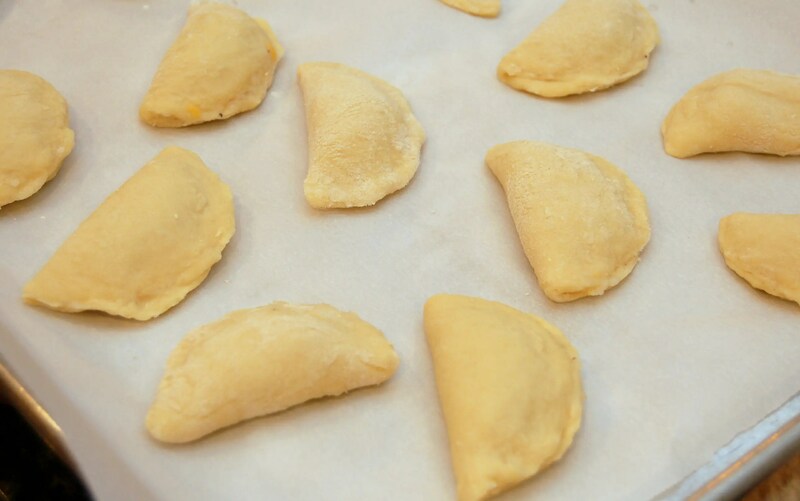 This recipe will only make about 30 pierogies, so while it won’t be enough for a wedding with 300 guests, it should be enough to feed your family! 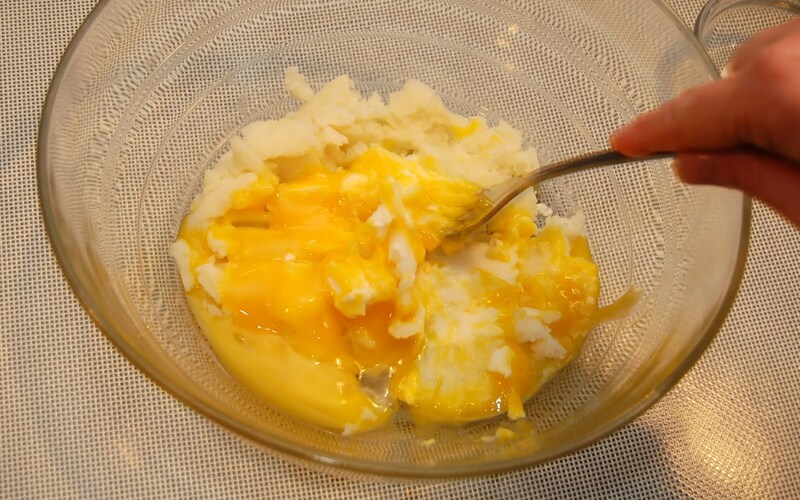 Mix together shortening, egg yolks and cold mashed potatoes. 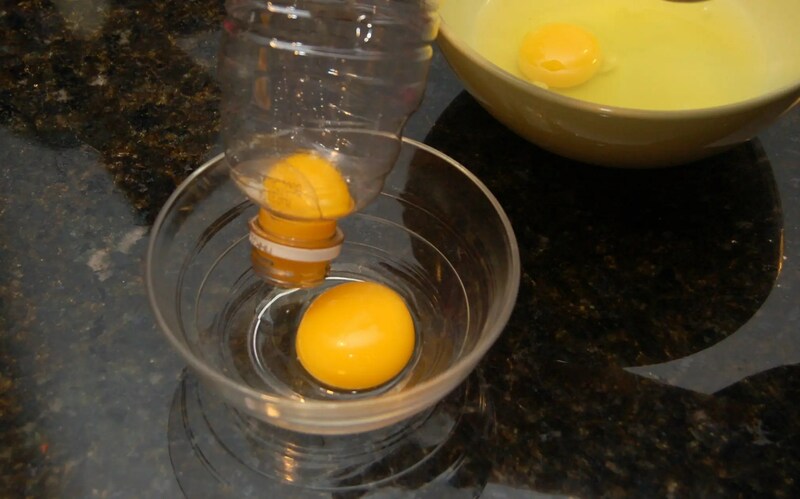 As a side note, I always use the plastic water bottle trick to separate an egg. Use a washed out water bottle. 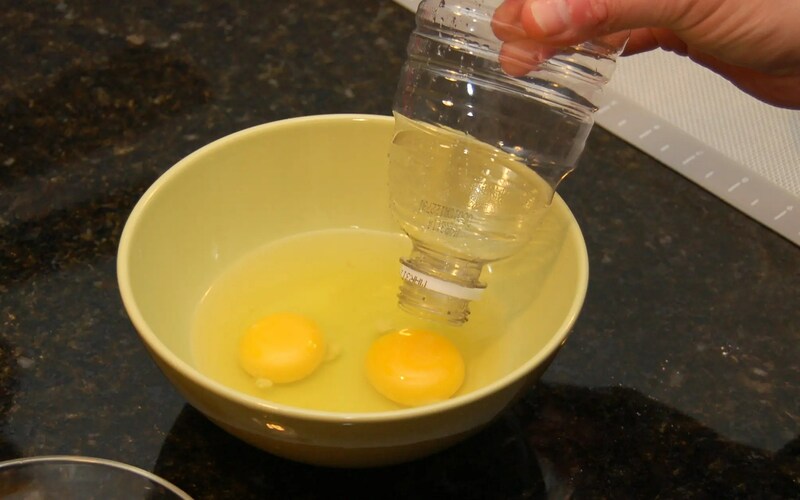 Touch the top of the yolk with the bottle. 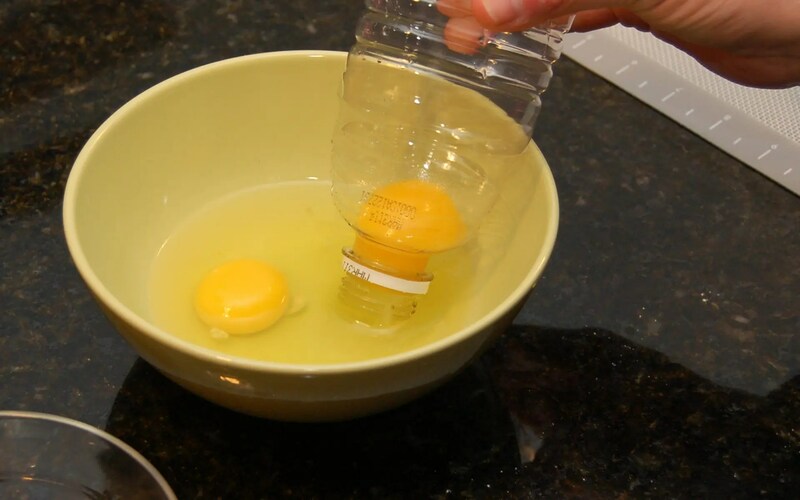 Transfer yolk to new dish and release pressure on the side of the bottle. Easy Peazy! 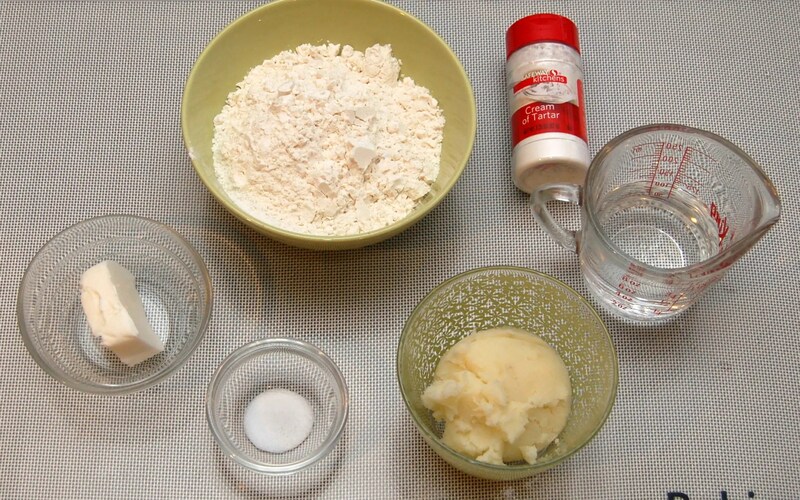 Mix together flour, salt and cream of tartar. 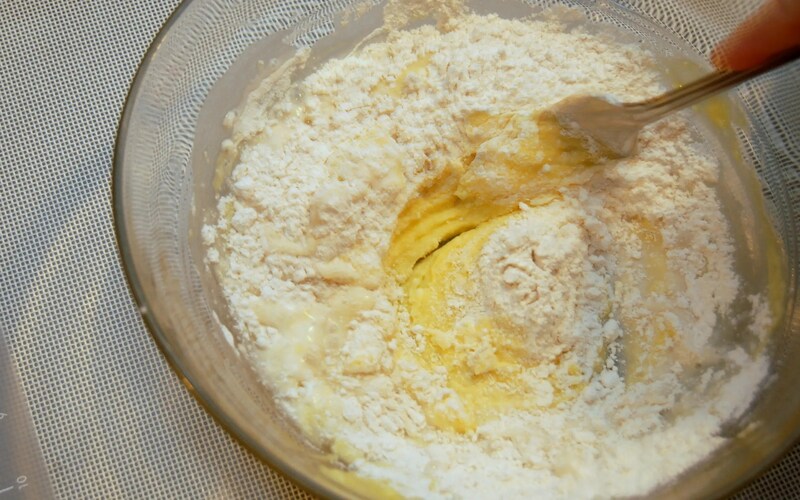 Add flour mixture to potato mixture, a small amount at a time, alternating with water. Add enough flour so dough is soft but not sticky. 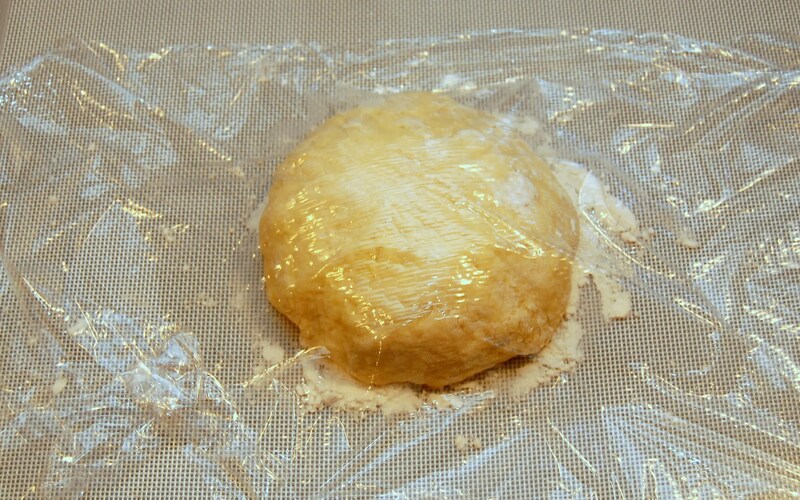 Form dough into a ball and let rest, covered in plastic on a floured surface. 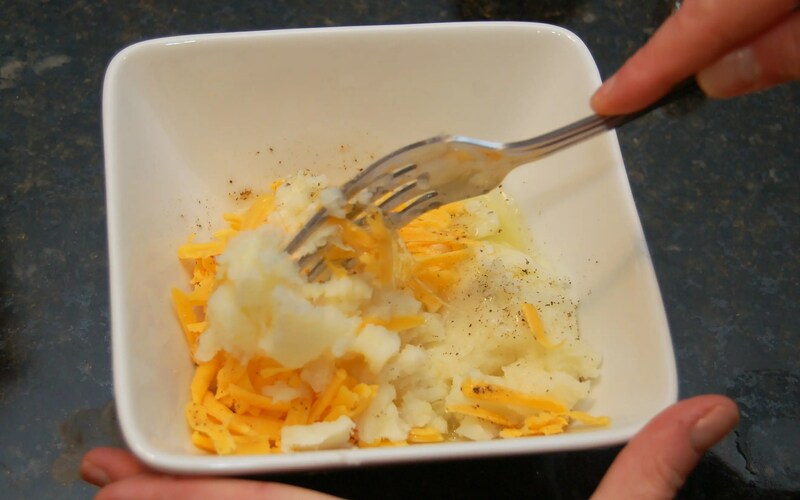 In a separate bowl mix together mashed potatoes, cheese, egg white and salt and pepper. Sometimes I also add in a 1/4 cup of sauteed onions. 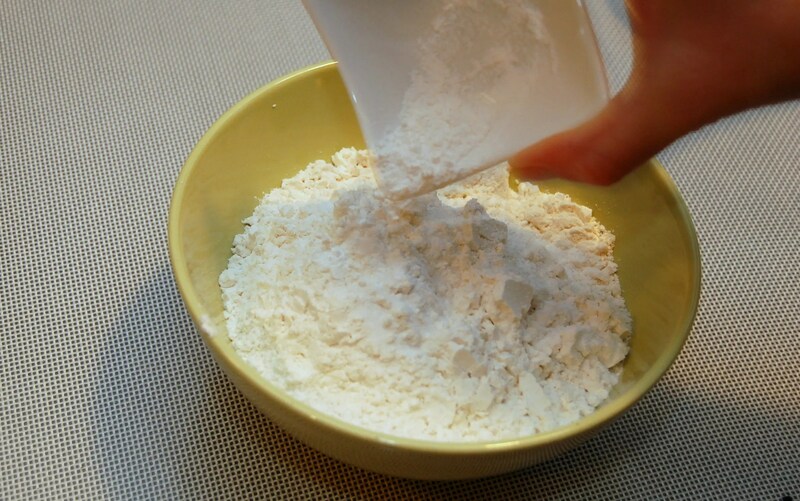 After dough has rested, roll out on to a floured surface to about 1/8th of an inch thick. It’s easier to roll the dough if you roll out only half at a time. 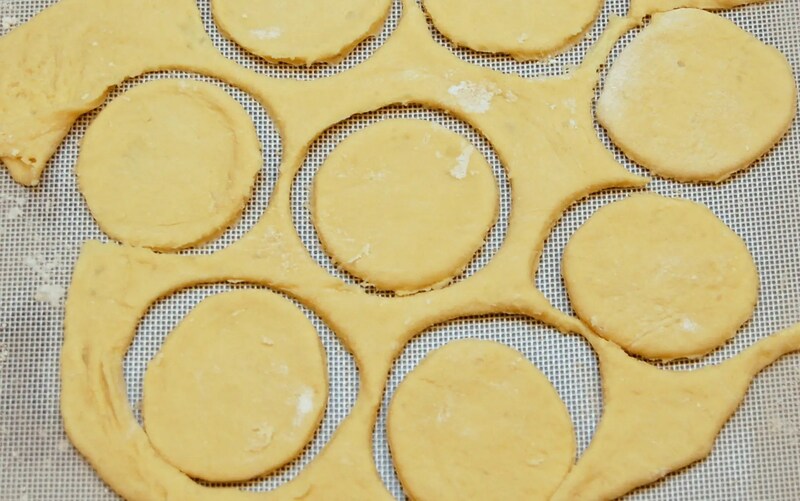 Cut dough out using a 3 inch cookie cutter, or, if you don’t have one, use a 3 inch glass. Place about a teaspoon of the filling mixture in the middle of each dough circle. Don’t put into too much! Fold dough over and pinch ends closed. And place on a parchment covered cookie sheet. 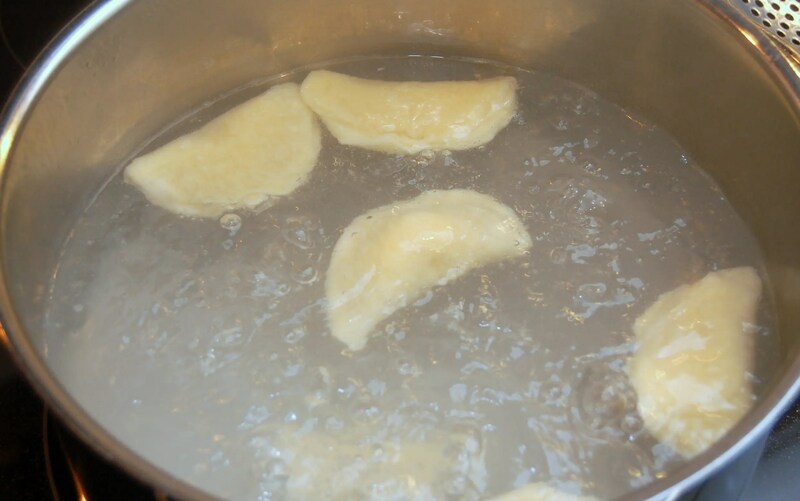 Gently place pierogies in boiling water. When pierogies float to the surface of the water, they’re done! It should take about 5 minutes. 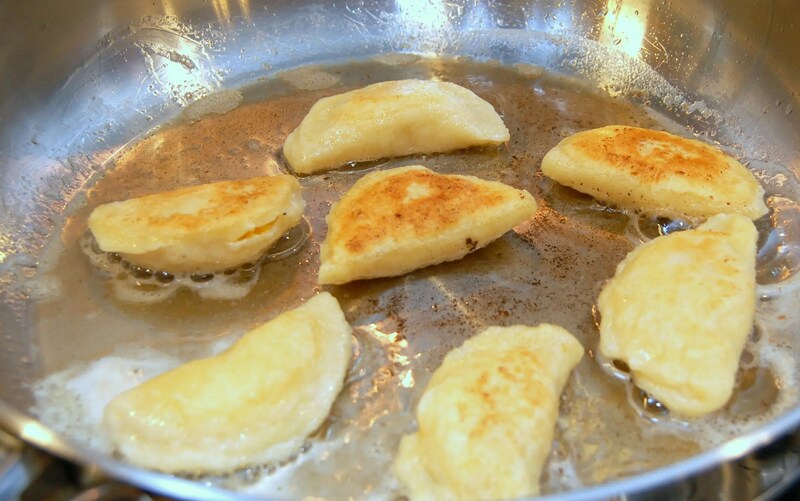 Place boiled pierogies in a hot pan with a mixture of 2 tablespoons butter and 2 tablespoons olive oil and brown. The olive oil helps keep the butter from browning too quickly. Serve hot with sour cream and sliced green onions. Bacon bits and sauteed onions make great toppings too! Enjoy! 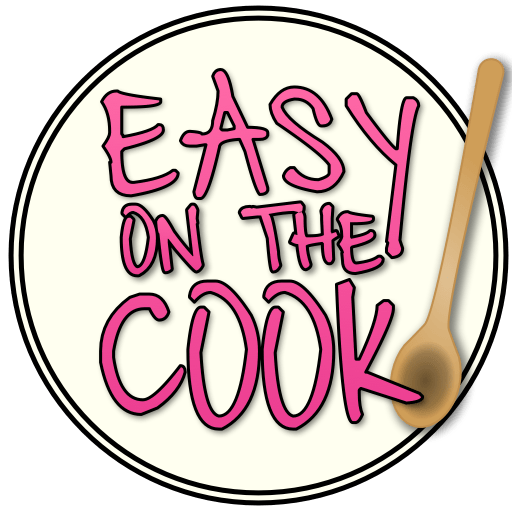 Combine mashed potatoes, shortening and egg yolks in a bowl. In another bowl mix flour, salt and cream of tarter. 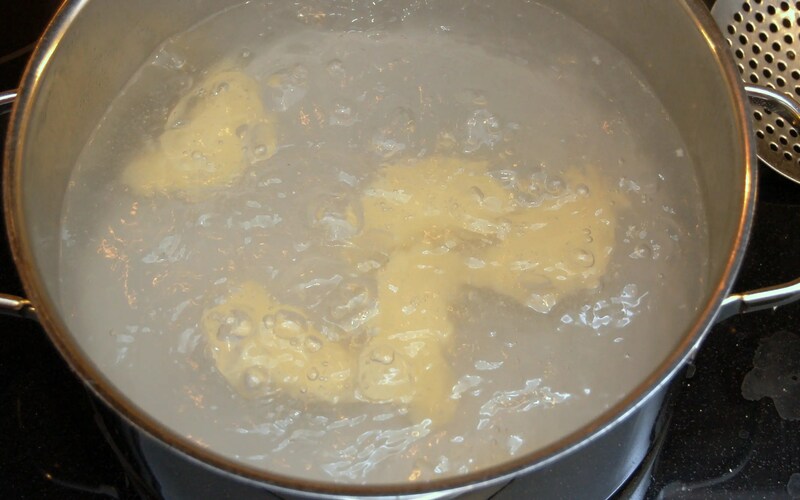 Add flour mixture to mashed potato mixture a small amount at a time, alternating with the water. Cover with plastic wrap and let stand 10 – 15 minutes. 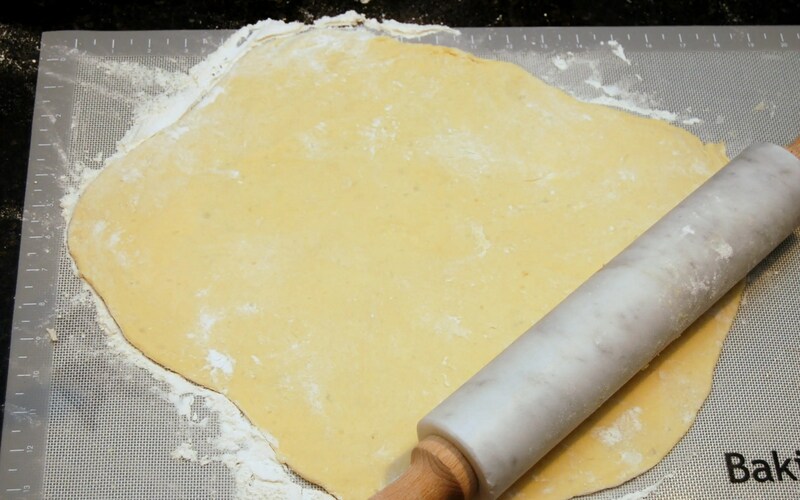 Roll out dough to about 1/8th of an inch thick, cut with a 3 inch round cookie cutter. 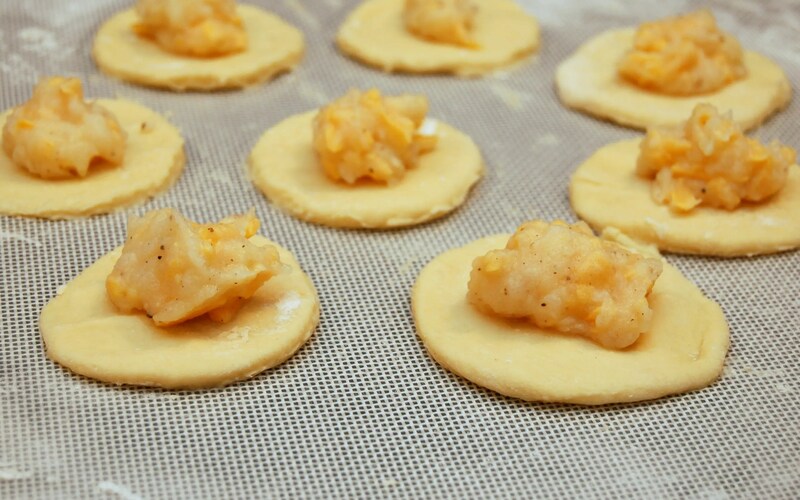 Place about 1 heaping teaspoon of filling on each round, then fold and pinch edges together. Remove from water. Perogies can be served at this point, or fried in a pan with oil (and I add a bit of butter) until golden brown. My son-in-law always says that he’s homesick for his family’s homemade pierogies. It’s not something that I even know how to make so I’m so glad that I found a site that spells it out with pics. I can’t wait to surprise him with these. What a great mother in law you are, your son in law is blessed!